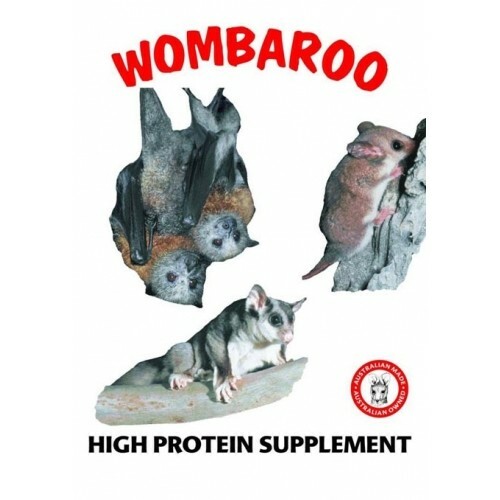 HPW single batch servings of High Protein Wombaroo powder and bee pollen to make the Original HPW diet as recommended by vets. Mix with 3 scrambled eggs, 2 cups of water and 1.5 cups of honey, blend, freeze and serve 1.5 teaspoons of mixture per glider per night. Diet must be supplemented with 1 tablespoon of diced vegetables and 1 tablespoon of diced fruit per glider per night to ensure complete dietary requirements. We recommend Happy Glider Chick n Honey for daytime snacks available separately. Note: Single batch size of OHPW is 1/4 cup of Wombaroo and 1 tablespoon of freshly ground bee pollen.